Tickets are now on sale for the Southern Ohio Performing Arts Association (SOPAA) and Shawnee State University (SSU) 2015-2016 performing arts season, which will transport the community as far away as Asia and as far back as 1,400 years ago. The season will open with “Under The Streetlamp,” a group of young men who recently performed in the musical “Jersey Boys.” The group is now on tour singing “the Great American Radio Songbook.” The show will open curtain on September 17. 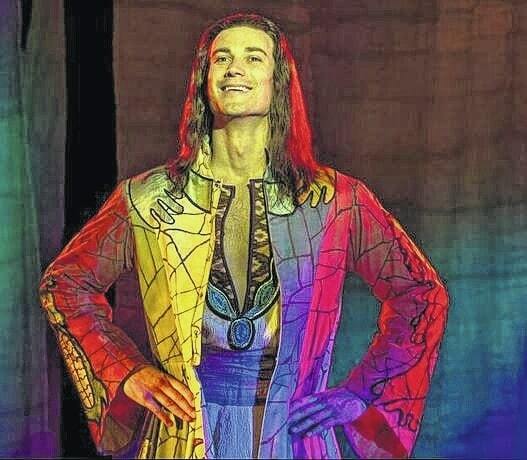 “Joseph & the Amazing Technicolor Dreamcoat,” one of the most enduring Broadway musicals of all time, will open curtain on October 11. The show features music by Tim Rice and Andrew Lloyd Webber. The show is an irresistible family musical about the trials and triumphs of Joseph, Israel’s favorite son. This new production is a reimagining of the Biblical story of Joseph, his eleven brothers, and the coat of many colors. “The Jason Bishop Show,” will open curtain on November 10. Known in the illusionist community as something of a wunderkind, Bishop’s routine includes the rarely performed and breathtaking Double Levitation, as well as cutting edge Op-Art and Plasma Illusions. Terry Barber will enchant audiences on December 1, as he performs Christmas music of the classical, traditional, and contemporary styles. A truly international artist, Terry Barber has been a soloist for the Metropolitan Opera, Carnegie Hall, London’s Queen Elizabeth Hall and Moscow’s Svetlanov Hall. The Polish Baltic Philharmonic, direct from Gdansk, Poland, will perform February 1. The Polish Baltic Philharmonic is a world class ensemble that has endured a tumultuous history. The lofty passions that witnessed tragedy of the Second World War and drove revolutions against the Soviet Union continue to capture the prideful stoicism of contemporary Poland and the larger Baltic Sea coast. in 1956, with artists Elvis Presley, Carl Perkins, Johnny Cash and newcomer Jerry Lee Lewis, as they come together for one of the greatest recording sessions ever. Kenny Endo will put the beat of the drum through the audience’s bodies on March 31. Kenny Endo, the first person of the Western Hemisphere to be granted a license to perform traditional Japanese taiko drumming, celebrates 40 years practicing an art that is both bombastic and subtle. The evening will include traditional taiko drumming, as well as contemporary works where jazz vibraphone, Hawaiian ‘ukulele and traditional Japanese instruments are played with a rock ‘n’ roll energy. “Ragtime: the Musical” will open curtain on April 12. The show features the stories of an upper-class wife, a determined Jewish immigrant, and a daring young Harlem musician. The story is set in turn-of-the-century New York and all three characters are united by their desire and belief in a brighter tomorrow. The Columbus Jazz Orchestra will return on May 3. This show consists of all big band and swing era favorites from Benny Goodman to Louis Armstrong. Helen Welch will also sing selections from The Great American Songbook, including the classics that were originally made popular by singers Frank Sinatra, Ella Fitzgerald and Rosemary Clooney. SOPAA and SSU have also announced that, thanks to a new partnership with the Ohio Arts Council, an additional free concert of Tuvan throat singing will be performed by Alash Ensemble on October 22, 2015 at 7:30 p.m.
“Even though throat singing may be generally unfamiliar to people, I have actually worked with other throat singing groups on three different occasions,” SSU’s Vern Riffe Center for the Arts Director Joe Patti said. “When the Ohio Arts Council approached us about offering a performance and some educational outreaches for free, I jumped at the opportunity. As always, the Oak Ridge Boys will return on November, outside of the regular SOPAA season, to perform a winter concert on November 24 at 7:30 p.m.
For detailed information on the times of shows, as well as cost of individual tickets and season passes, inquiries can be made through Ticket Master or at the theatre. Discount rates for groups and families are available. Tickets will be available at the McKinley Box Office from 10 a.m. to 5 p.m. in the Vern Riffe Center for the Arts. Tickets can also be purchased online at TicketMaster.com. For more information about SOPAA, or the upcoming season, contact the McKinley Box Office at 740-351-3600 or visit them online at www.vrcfa.com or www.soppa.org.